One of our jobs as a Scout leader is to encourage and assist boys in accomplishing Merit Badges. The range of requirements they are asked to work through helps a young man gain experience with skills he may have never considered otherwise. That experience also provides many opportunities for growth in areas of strength, confidence and character. It stretches them. It may even be what leads one of these boys to find his career path in life. But it isn’t just about the boys. We leaders should be working on things that can do the same for us. Wood Badge is adult leader training. It’s the same kind of subject matter someone would pay over a thousand dollars to get from an institution like the American Management Association (AMA). Training topics include communication skills, listening techniques, team building, problem solving, decision making and managing conflict to name only a few. However, the unique thing about Wood Badge is that you get management training in the context of a scouting perspective that also follows your religious beliefs. What a package…all for under $200! In fact, there is no reason you couldn’t ask your employer to cover the cost and give you the time off as professional development. If you think Wood Badge only applies to you as a scout leader, you’re not seeing the bigger picture. It is for you as an individual, for you as a member of your family, for you as a contributor in the workplace, for you as an example in your community, even for you raising daughters that will someday be wives and mothers …AND, finally… for you as a leader of young men who will someday be husbands, fathers and leaders themselves. Wood Badge is an opportunity to “sharpen your saw” for whenever you will need to use it for good, in every aspect of life. Wood Badge is about making a difference in the lives of those around you. Wood Badge should be required for every leader that becomes a part of this program – no exceptions! So if you haven’t already been… get to Wood Badge. 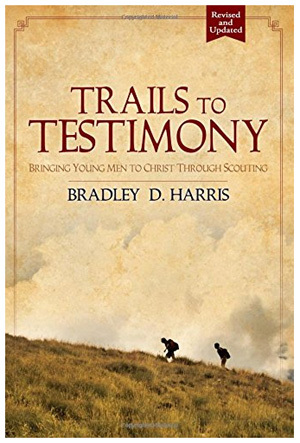 This entry was posted in Leading by Example, Training and tagged boy scouts, bsa, leadership training, leading by example, professional development, scout training, wood badge. Bookmark the permalink.